Nha Trang is one of the top beach destinations in Vietnam and you don’t need to leave the mainland to visit this little slice of paradise. Perhaps find where to stay at one of the hotels that line the main road along the beach with incredible views of the blue ocean. Nha Trang has more to offer than just the beach though and being in the city is the perfect spot to be to see all that Nha Trang has to offer during your Vietnam trip. 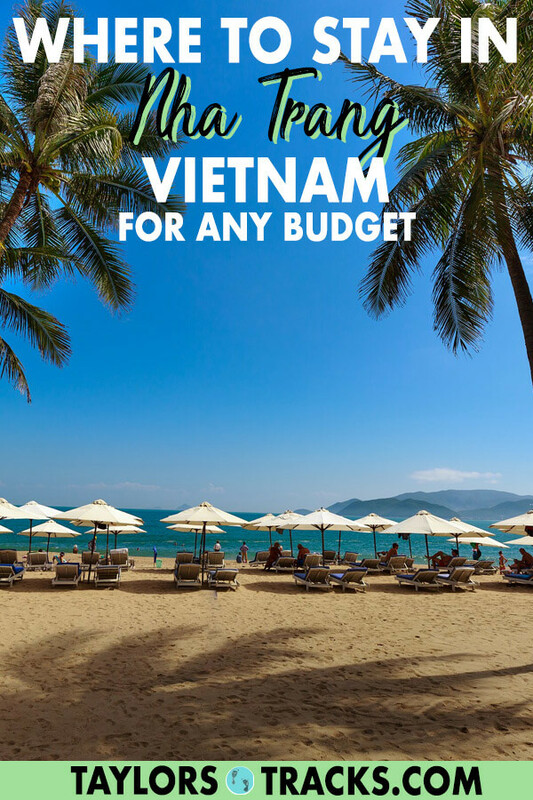 Keep reading to find the best places to stay in Nha Trang for every budget. From budget hostels (with one that’s more like a resort) to luxury beachfront properties, this accommodation guide will show you where you need to stay to enjoy all of Nha Trang. 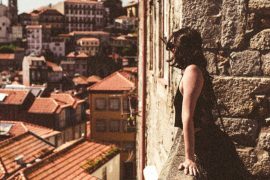 Get the more bang for your buck or find where the rich stay and play. 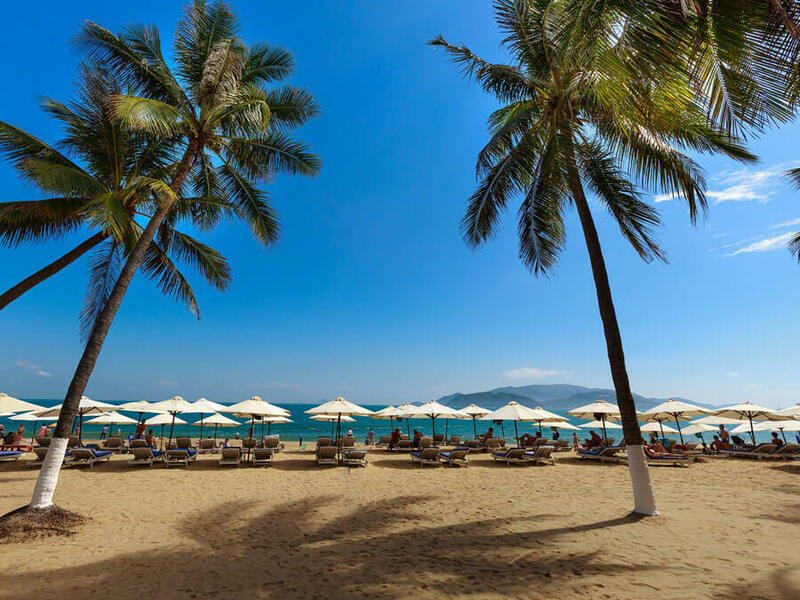 Tran Phu Beach is the main area in Nha Trang where you can find all of the places to party, many beachfront resorts, budget options to eat…basically everything you could want in Nha Trang! You won’t be in the main area of Nha Trang if you’re staying here but you will get some peace and quiet. 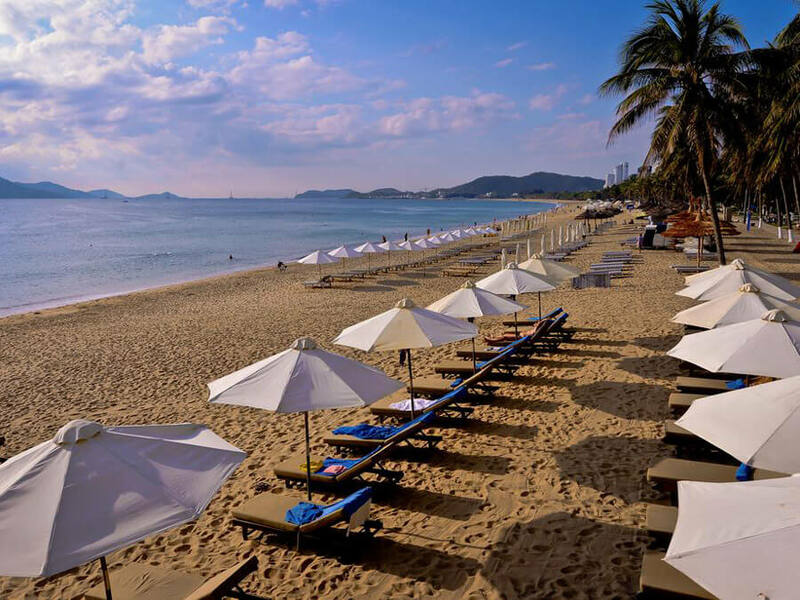 There are resorts on a number of the islands off of Nha Trang’s coast that are luxurious and also great for families. 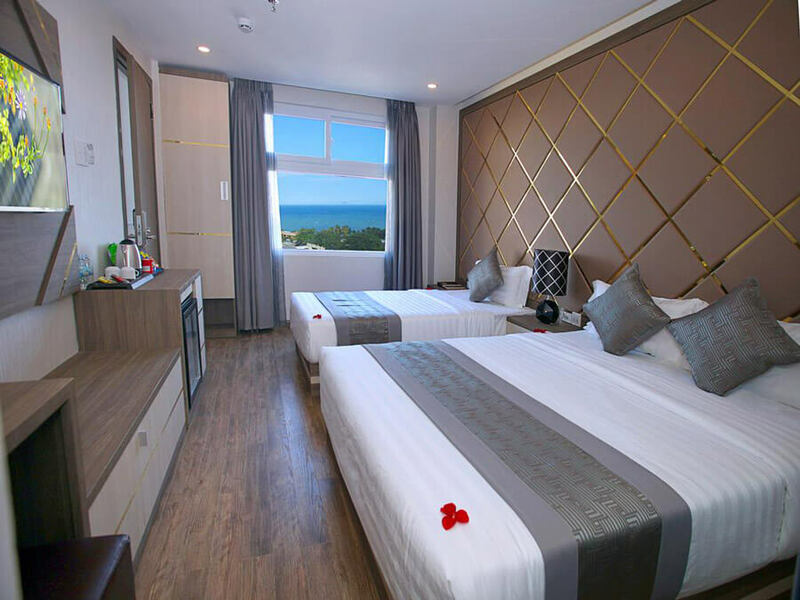 Don’t write off the city centre quite yet, many of the accommodation options available in the city are very affordable and still within walking distance (20-minutes or less) to the beach and other major landmarks in Nha Trang such as historical sites like Po Ngar Cham Towers. Find the best hostels in Nha Trang for location, budget and atmosphere. These are the ultimate hostels for Nha Trang backpackers. Mojzo Dorm has the perfect location in the heart of Nha Trang. 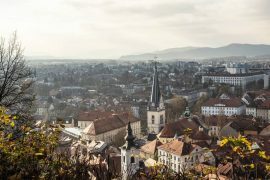 You can walk to the beach, find street food and tons of restaurants around you and book tours at the hostel to the mud baths at a spa or Vin Pearl. There’s free Wi-Fi, water refills and beers between 5-6 every night. Breakfast is also included on the rooftop with awesome views over the city. If you’re looking for a party place then look no further than this Nha Trang hostel. iHome Nha Trang is the only party hostel in the city. It has a rooftop bar and unlimited beers everynight for 1 hour and then cheap drinks are served after. The hostel is very social and you can even play an escape game challenge on-site. Breakfast is included and a common room is available with Netflix. This is the newest location of Vietnam Backpackers Hostels, the largest chain of hostels in Vietnam. And they sure know how to make a hostel good. This hostel is not in the centre of Nha Trang, but in fact an hour drive’s north and it is a beachfront property. Which is what you go to Nha Trang for! It’s the perfect place to chill out where a chef cooks up delicious local dishes, there’s a full service bar serving cheap cocktails and of course a pool. Yoga classes are held daily, there’s football, an outdoor cinema and so much more. 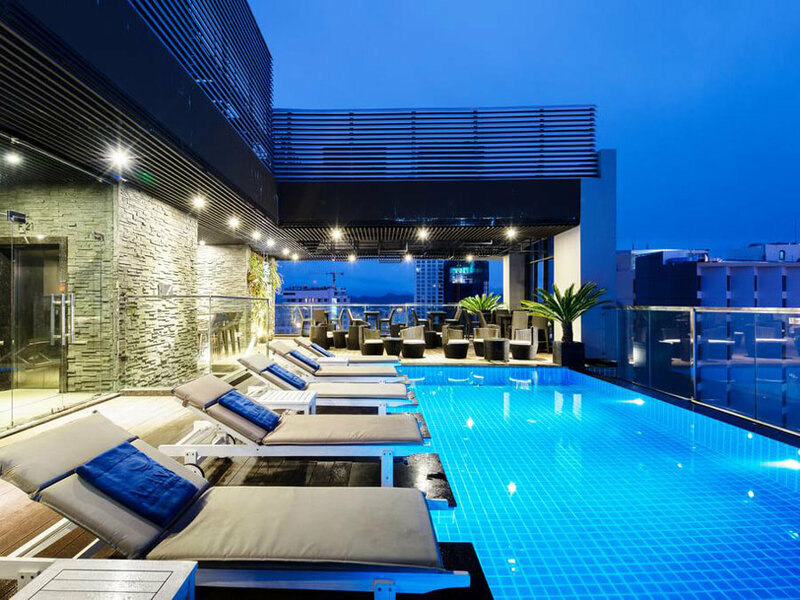 Find the best Nha Trang Vietnam hotels for your upcoming stay. This beachfront property is one of the most highly rated properties in the city. From your balcony you can get views of the city or the ocean. 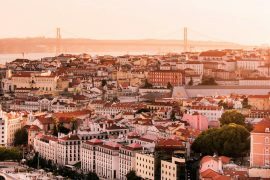 The location is ideal right in the city centre but still on the beach, it’s exceptionally clean and the staff are very helpful. Bicycles can be rented to explore the surrounding area. 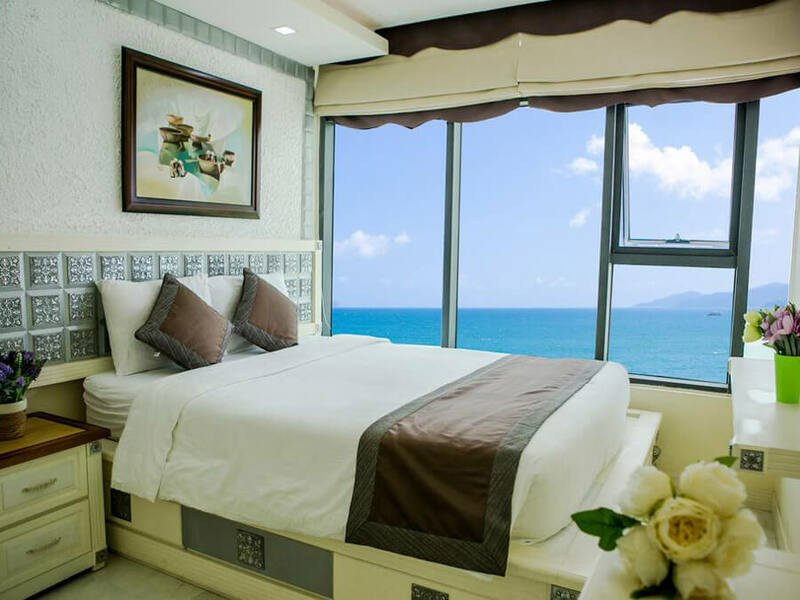 From Nha Trang Beach Apartments you can expect stellar views of the ocean. You won’t have to leave to get food because there is a kitchen and dining area in your room for those craving a bit of privacy. There is also an on-site restaurant, bar, swimming pool and access to the beach. 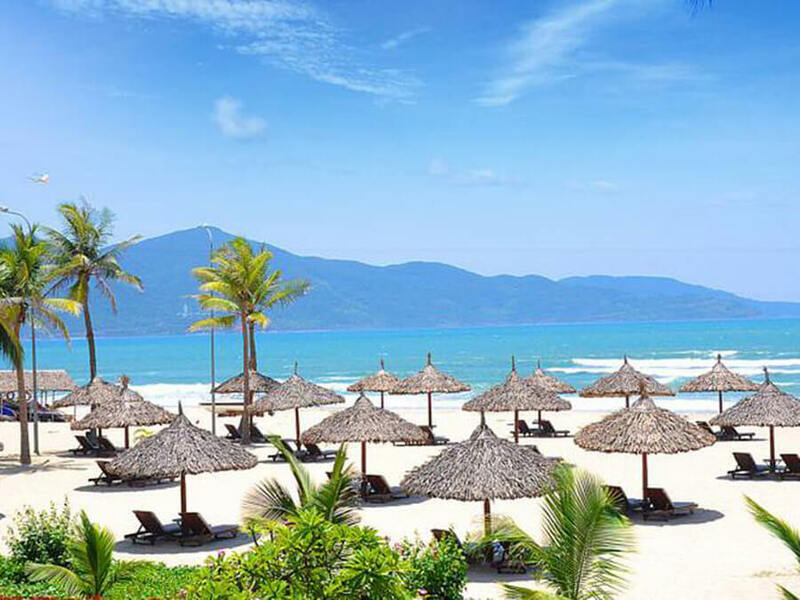 Get a room with a sea or city view and soak in the sun in Nha Trang. This property has access to the beach, a restaurant on-site and free Wi-Fi. Breakfast included and an airport shuttle can be booked. Previous guests loved the location and buffet breakfast. Find the best luxury Nha Trang hotel for you to have the perfect stay and the ultimate Nha Trang beach resorts. The only reason why you’d need to leave this hostel is to visit the beach which is a 3-minute walk away. In the hotel you have access to an outdoor pool, sauna, fitness centre, restaurant and bar. Past guests loved the pool area, the amazing staff and raved about the location. This is the best resort in Nha Trang. 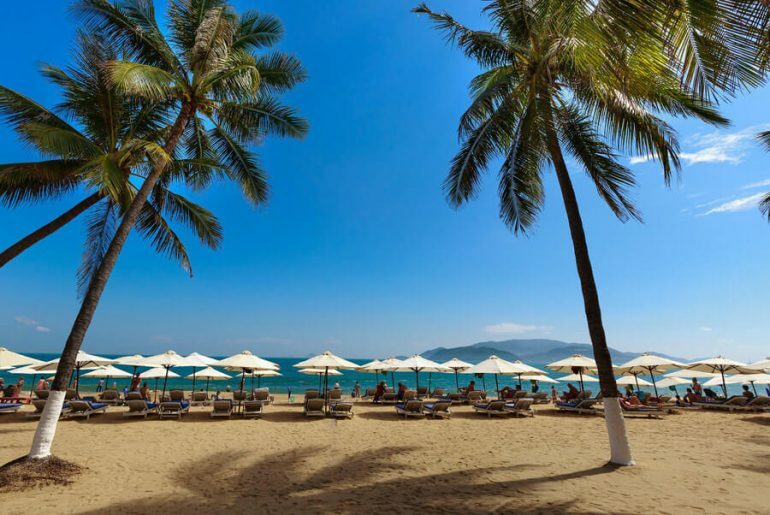 This Nha Trang resort has a private beach area for guests to lounge. From your room you can take in the ocean views as you enjoy a cup of tea or coffee in the morning and spend the afternoon by the pool. On-site amenities include a spa, fitness centre, bar and breakfast is included. Located right on the main street, you can get a better location than this. It’s a 1-minute walk to the beach which is private for hotel guests or you can choose to hangout by the outdoor pool. A fitness centre, spa and bar are on-site for your use. You’ll be spoiled here with modern rooms that deliver panoramic views of the ocean. This could just be the best place to stay in Nha Trang. 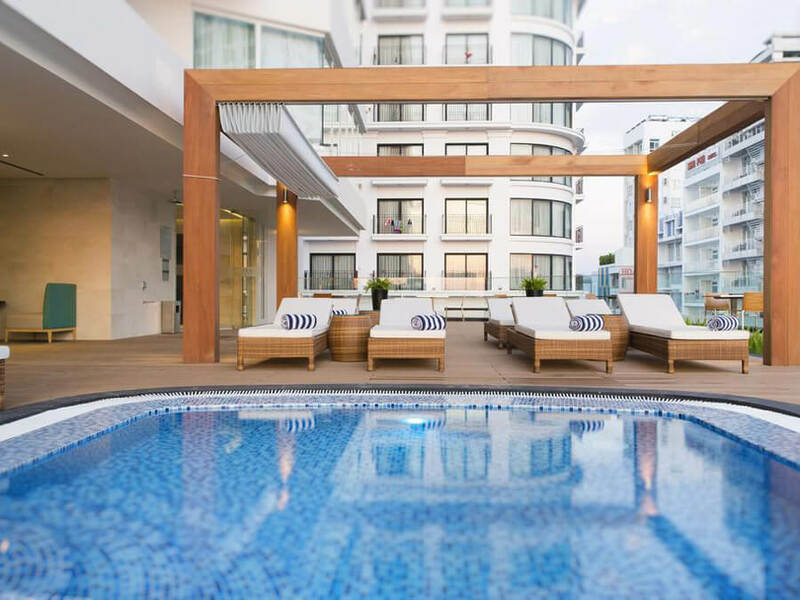 Finding the perfect Airbnb in Nha Trang just got easier. See the views of Nha Trang when you stay at this apartment on the 35th floor of the tallest highrise by the beach. You’ll have the entire apartment to yourself and each of the two guests will have their own room. The property has been rated highly, the host is a superhost and it’s always extremely clean. The views at this Nha Trang Airbnb are seriously hard to beat. You can wake up and see panoramic views of the vibrant blue water in one of the bedrooms of this six bedroom villa. The city centre is only a 5-minute bus ride away that has a stop just outside of the villa. As a bonus, breakfast is included too! Stay in an apartment but get the amenities of a luxurious hotel. Only 50 metres from the water this 2 bedroom apartment sleeps four and provides access to a pool, gym, restaurant, bar and more. 90% of recent guests have given the property a super 5-star rating.